Lori (Armenian: Լոռի, [lɔˈri]), is a province (marz) of Armenia. It is located in the north of the country, bordering Georgia. Vanadzor is the capital and largest city of the province. Other important towns include Stepanavan, Alaverdi, and Spitak. It is home to the UNESCO World Heritage Sites of Haghpat and Sanahin monasteries and the well-preserved Akhtala monastery, where Armenians, Georgians, and Greeks make an annual pilgrimage on September 20–21. The climate is characterized with extremely cold snowy winters and mild summers. The annual precipitation level is between 600 and 700 mm (24 and 28 in). Excavations conducted in 1931 testify that the region of modern-day Lori was most probably settled during the 1st half of the 2nd millennium BC. Later, the region became part of the Urartu Kingdom between the 8th and 6th centuries BC. After the Achaemenid invasion, the region became part of the 18th Satrapy of Persia. With the establishment of the Kingdom of Armenia in 331 BC, the region became part of the kingdom within the historic Gugark province, the 13th province of Greater Armenia. Following the partition of Armenia in 387 between the Byzantine Empire and Sassanid Persia, and the subsequent collapse of Arsacid Armenia in 428, Eastern Armenia including Gugark province became under the rule of Sassanid Persia. In 658, Armenia was conquered by the Arab invaders. At the end of the 9th century, most of the Gugark province became part of the newly established Bagratid Kingdom of Armenia. In 979, King Kiurike I founded the Kingdom of Tashir-Dzoraget under the rule of the Kiurikian dynasty and the protectorate of the Bagratid kings of Armenia. The capital of the kingdom was Matsnaberd (until 1065) and the Lori fortress. The Kiurikians ruled the kingdom until 1118 when Tashir-Dzoraget became part of the Kingdom of Georgia. The Seljuks invaded the region in the early 12th century, but their rule did not last long and in 1118-1122 the Georgian king David the Builder conquered Lori and granted the rule to the Georgian-Armenian Orbelian Dynasty. The Orbelians revolted unsuccessfully in 1177, after which a Kipchak named K'ubasari was appointed spasalari of Lori. Later in 1185, the province became ruled by the Zakarian dynasty after Queen Tamar of Georgia appointed the Zakarid prince Sarkis as its governor. However, the region was devastated by the Mongol invasion of 1236, and the Zakarian dynasty declined by the 2nd half of the 14th century. After fall of the Kingdom of Georgia in 1490, Lori remained part of Kingdom of Kartli until the 16th century. Lori was annexed by Safavid Persia as a result of the 1555 Peace of Amasya and became part of Persia's Kartli-Kakheti province. After Nader Shah's murder in 1747, the Georgian kingdoms of Kartli and Kakheti became independent and united into a single kingdom by 1762. In 1801, together with the Georgian provinces of Kartli and Kakheti, Lori was annexed by the Russian Empire to become part of the Georgia Governorate. Lori became officially part of the Russian Empire at the Treaty of Gulistan signed on 1 January 1813, between Imperial Russia and Qajar Persia. In 1862, Lori was transferred into the jurisdiction of the Tiflis Governorate. In 1880, Lori became part of the Borchali uyezd of the Tiflis Governorate. In the early 20th century, Lori was mostly populated by Armenians, with several Russian and Greek villages. In May 1918, the Ottoman Turkish forces moved towards Yerevan and Karakilisa (now Vanadzor). On 25 May 1918, the Armenians led by Garegin Nzhdeh fought against the Turkish forces led by Wehib Pasha, at the vicinity of Karakilisa. On 28 May 1918, the Turks retreated from Karakalisa, Abaran and Sardarabad, paving way towards the declaration of the Republic of Armenia on the same day. In late 1918, Armenia and Georgia fought a border war over Lori. With the British intervention the Lori "neutral zone" was created, only to be reoccupied by Georgia after the fall of the Armenian Republic at the end of 1920. Following Armenia's sovietization in December 1920, Lori was finally incorporated into Soviet Armenia on 11 February 1921. During the Soviet period, modern-day Lori was divided into the raions of Kalinino, Tumanyan (Alaverdi until 1969), Kirovakan, Aragats, Spitak and Stepanavan. After the independence of Armenia, the 6 raions were merged as per the 1995 administrative reform, to form the Lori Province. According to the 2011 official census, Lori has a population of 235,537 (111,675 men and 123,862 women), forming around 7.8% of the entire population of Armenia. The urban population is 137,784 (58.5%) and the rural is 97,753 (41.5%). The province has 8 urban and 105 rural communities. The largest urban community is the provincial center of Vanadzor, with a population of 86,199. The other urban centres are Alaverdi, Stepanavan, Spitak, Shamlugh, Tashir, Akhtala and Tumanyan. With a population of 4,578, the village of Metsavan is the largest rural municipality of Tavush. The majority of Lori are ethnic Armenians who belong to the Armenian Apostolic Church. The regulating body of the church is the Diocese of Gougark, headed by Archbishop Sebouh Chouldjian. The Saint Gregory of Narek Cathedral in Vanadzor is the seat of the diocese. However, small communities of ethnic Russian Molokans are mainly found in the villages of Fioletovo and Lermontovo, and in less numbers in the villages of Sverdlov, Mikhayelovka, Privolnoye, Pushkino, Medovka and the town of Tashir. The total number of Molokans in Lori is 3,882 individuals. There are few Orthodox Russians and Ukrainians in Vanadzor, Stepanavan and the village of Amrakits. According to the Diocese of Gougark, as of February 2016, Lori is home to 259 places of worship, of which 3 monasteries as well as 36 churches and 23 chapels are active. The 793 individuals of the Yazidi community are found in the southern villages of the province including Lermontovo and Lernantsk. Lori is also home to a tiny Greek community of 655 individuals who speak the Pontic dialect. Small Greek communities could be found in the towns of Alaverdi, Akhtala, Stepanavan, Noyemberyan and Vanadzor. The majority of the Yaghdan village is Greek. 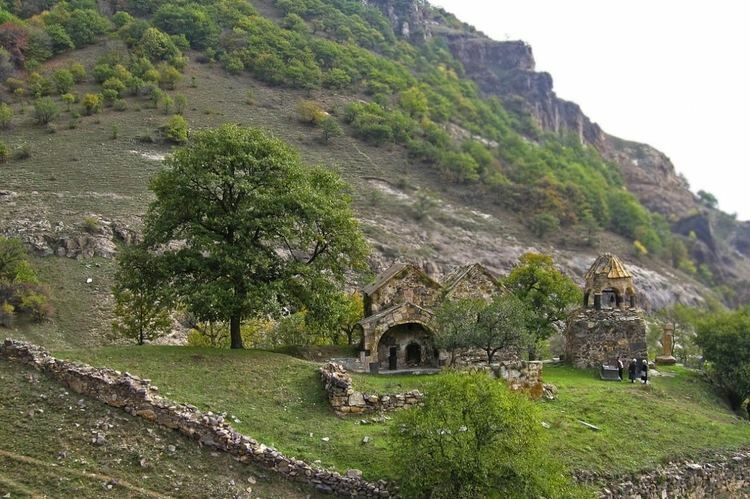 Between the 11th and 13th centuries, the monasteries of Haghpat, Sanahin, Kobayr and Bardzrakash in Dsegh served as centers of Armenian culture, theology and science. Scholars such as Hovhannes Imastaser, Grigor Tuteordi, Davit Kobayretsi, Grigor Magistros worked in these monasteries. The House-museum of Hovhannes Tumanyan in Dsegh is among the notable cultural structures in Lori. Sedvi Fortress of the 13th century. The agriculture of Lori forms around 7.5% of the annual total agricultural product of Armenia. Approximately, 40% of the population in Lori are involved in agricultural activities, including farming and cattle-breeding. Almost 66.3% (2,511.5 km²) of the total area of the province are arable lands, out of which 17% (421 km²) are ploughed. The main crops of the province are grains, followed by potato and vegetables. There is a large poultry farm in the town of Spitak. Currently, the province has a contribution of around 6% in the annual total industrial product of Armenia. Lori is a major centre for metallurgical business, building materials production, as well as dairy products. The Alaverdi copper smelter owned the "Armenian Copper Programme" company is the only smelter in Lori that is still in operation since the Soviet days. The largest copper mines are located in Alaverdi, Akhtala, Shamlugh and Teghut. The city of Vanadzor is the main industrial centre of the province. The industry of the city is quite diversified with many firms specialized in garment manufacturing, chemical products, building materials, and dairy products. The largest garment manufacturers of the city are the "Dav-Gar" garment factory founded in 1962, the Darbbag's Sewing Factory founded in 1977 (privatized in 1996), the "Sarton" Sewing Factory founded in 1990, "Ruz-Dan" garment factory founded in 2000. The largest chemical plants of Vanadzor include the "Vanadzor ChimProm" founded in 1929, the "Gipk" enterprise for polymeric materials founded in 1967, and the "Gary Group" for polymeric materials founded in 1998. The "Beton" enterprise founded in 1988, the "Bionik" plant founded in 2004, and the "Karaberd" plant are specialized in building materials. The "DIET LLC", the "K&K" factory, and the "Katnagorts" plant are specialized in dairy products. 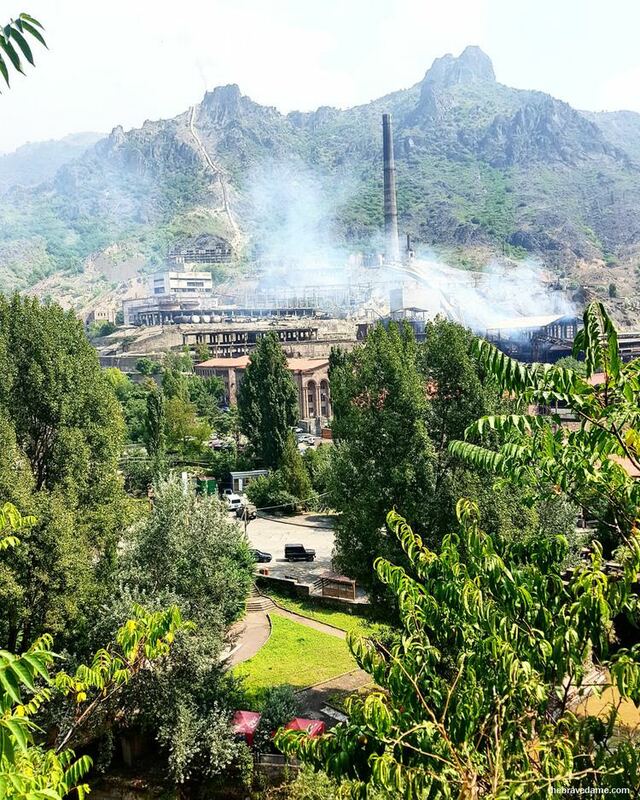 Othe major industrial plants of Vanadzor include the "Ardvin" electromechanical plant founded in 1956, the "Gems De Luxe" precious stone processing enterprise founded in 1996, and the "Jerutsogh" factory for heating equipments. The Vanadzor Thermal Power Plant is operating since 1961. The town of Spitak is home to the "Spitak-1" organization for construction and building materials founded in 1985, the "Sev Kakach" cooperative for bakery production founded in 1987, the "Bee Art" plant for honey, and the "Vanuhi" garment factory. Lori is famous for its cheese and other dairy products. The town Tashir is home to many firms for dairy products including the "Daughter Melania" cheese factory (since 1996, the "Dumikyan Brothers" cheese factory, the "Kalinino Kat" plant, and the "Tashir Kat" plant. Other notable industrial plants in Lori include the "Bhez-Plazma" Electrical Products Manufacturing Enterprise founded in 1960 in Stepanavan, the "Titanyan Brothers" plant for building materials founded in 1964 in Alaverdi, the "INSI-NTK" plant for cosmetics and perfumes founded in 2006 in Hobardz, the "Katnarat Dairy Factory" founded in 2009 in Katnarat, the "Tutyan" linseed oil manufacturing enterprise founded in 2010 in Hartagyugh, the "Grig Stone" mining and stone-processing plant in Stepanavan, the "Hoosh" stone-processing plant in Tashir, and the "Sanasar Janjughazyan" plant for carbonated soft drinks in Vardablur. Lori has 3 nature protected areas, including the Gyulagarak Sanctuary, the Margahovit Sanctuary, and the Rhododendron caucasicum Sanctuary near Aghstev river. 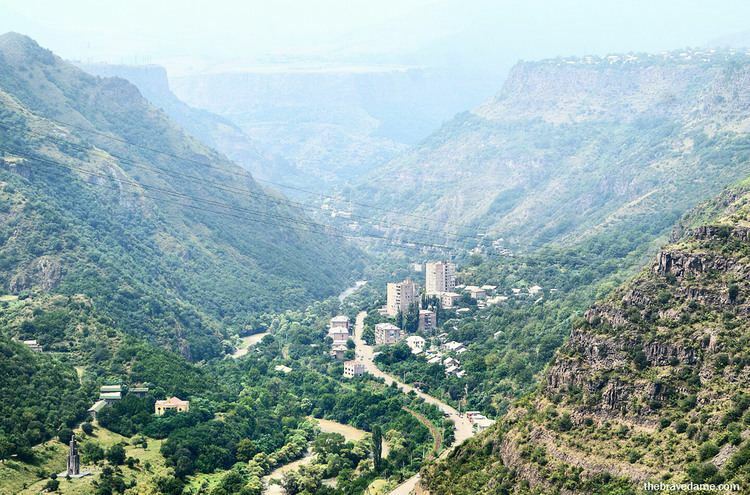 The Stepanavan Dendropark as well as the Vanadzor Botanical Garden are major destinations for ecotourism lovers. Currently, Vanadzor has 2 universities: the "Vanadzor State University named after Hovhannes Tumanyan", and "Mkhitar Gosh Armenian-Russian International University". Branches of the Yerevan State University and National Polytechnic University of Armenia are also operating in the city. The State College of Alaverdi offers an opportunity in pedagogical studies with a duration of two years, while the Tumanyan branch of the "Northern University" offers degrees in nursing and dental prosthesis. The Vanadzor Technological Center is operating since October 2016. It is intended to promote the business and technology environment in the entire region of Lori. Football, handball and winter sports are popular in Lori. There are football stadiums in Vanadzor, Alaverdi, Akhtala and Tumanyan. Lori Vanadzor, FC Vanadzor, Debed FC and FC Akhtala had represented the province in the domestic football competitions. However, they were all dissolved due to financial difficulties. The FFA Vanadzor Football Academy opened its doors on 29 October 2016. In 2017 the newly-founded Lori FC made its debut in the Armenian First League, representing the city of Vanadzor. Vanadzor is a major centre for winter sports in northern Armenia with a ski resort near the city. Lori is home to the following 107 administrative communities (hamaynkner), of which 8 are urban and 99 are rural. 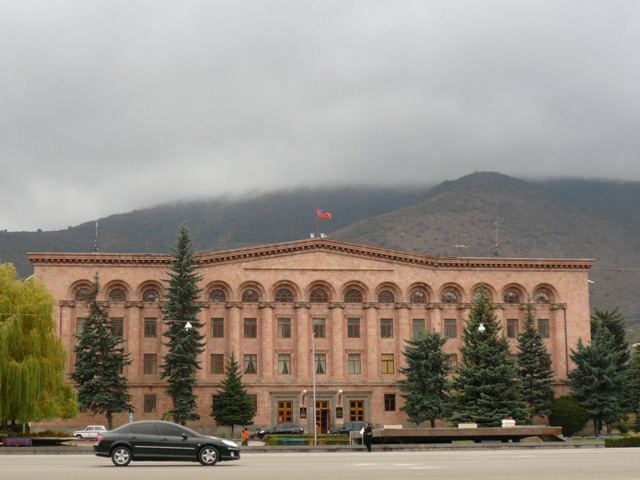 The administration of the province is headquartered in Vanadzor. Avetik Sahakyan (1863–1933), Armenian politician of the First Republic of Armenia. Stepan Zoryan (1889-1967), Armenian writer. Suren Aghababyan (1922-1986), Soviet Armenian literary critic. Sos Sargsyan (1929-2013), prominent actor, People's Artist of the Soviet Union. Artavazd Peleshyan, director and filmmaker. Shavarsh Karapetyan, Soviet Armenian fin-swimmer. Sergei Alifirenko, Olympic gold-medalist pistol shooter. Stepan Sarkisyan, freestyle wrestling Olympic silver-medalist. Armen Gyulbudaghyants, prominent footballer and football manager. Gor Mkhitarian, Armenian rock musician and singer. Vic Darchinyan, Armenian professional boxer, three-division world champion. Roman Mitichyan, Armenian-American professional mixed martial artist, actor and stuntman. Nareh Arghamanyan, Armenian pianist, winner of the 2008 Montreal International Musical Competition.